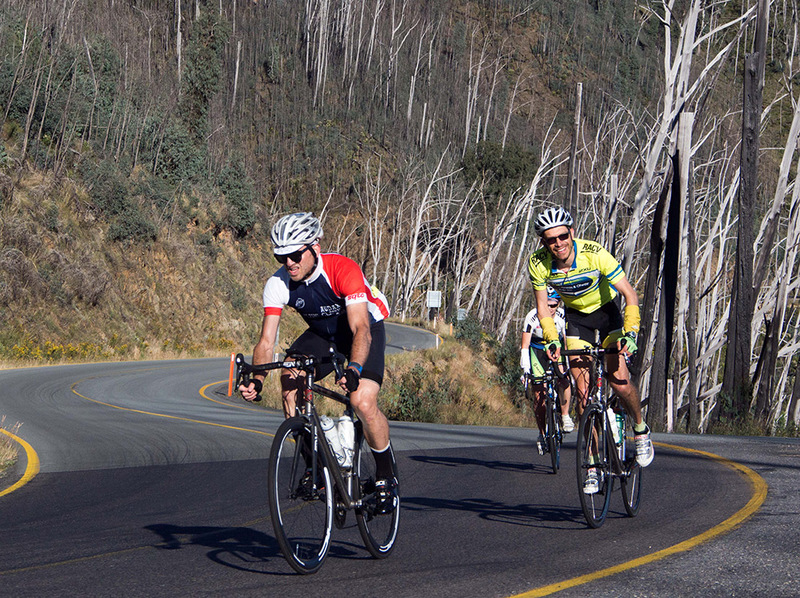 The Alpine Classic has been run successfully since 1986, when half a dozen keen Audax cyclists rode from Bright to Falls Creek and back. After a little refreshment they felt the need for more, and set off to ride the additional 70km up Mt Buffalo and back. This 200 km route became the famed Audax Alpine Classic. As the ride became more popular routes of different distances were gradually introduced to allow more cyclists to complete their own Alpine Challenge, and share their achievement with like-minded athletes. The Alpine Classic is now catering to around 2,000 riders, over 8 courses ranging from moderate to seriously challenging, all fabulously supported by our amazing team of volunteers. As this is not a race, there are no road closures. When you complete your ride, a celebration of personal achievement with family and friends is warranted. So now, in addition to the range of rides which support “the Classic”, a free food and music festival is available for all finishers and non-cyclists at the start/finish in Howitt Park. The Bonjour Bright Festival has been French themed to celebrate the association of the Audax Alpine Classic® with Audax International, based in France. Find out more about Audax Australia. Check out the Bonjour Bright entertainment program.